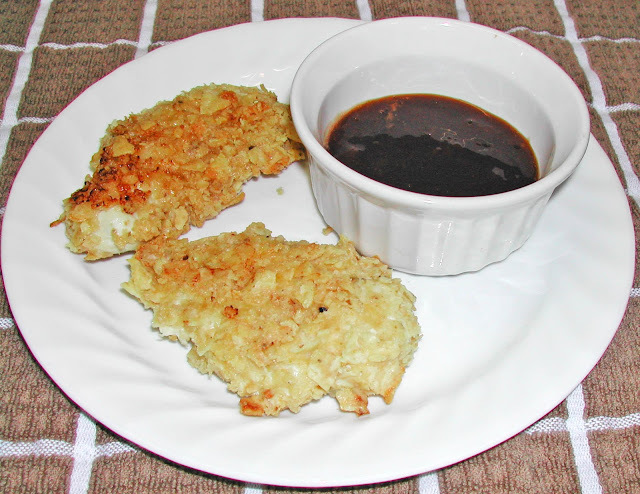 If you need a dipping sauce to dip chicken strips and tenders in you can’t go to far wrong with this recipe for sweet and sour sauce from the Better Homes and Gardens comfort food cookbook. Sweet and sour is the sauce of choice in our household and this is very good and not that neon pink bottled stuff you buy at the store. I like being able to make as much as we will eat and not have it sitting in the fridge until I pitch it as it is out of date. It really is simple to make with common ingredients. Stir in 2 tablespoons ketchup, 1 tablespoon rice vinegar, and 1 tablespoon soy sauce. Stir well and chill until ready to use or use at once. If you serve each person their own you can refrigerate the leftover sauce, if you have any left over that is. Good, easy to make and you can make the amount you want. Good to hear from you.